Warnings. Only for domestic use. Only for outdoor use. Maximum user weight is 50 Kg. Not suitable for children under three years. Suitable for children from three to ten years. This product is intended only for domestic use. Usage in a public setting such as a park, playground or school is a misuse of the product and may result in premature wear and also serious injury. 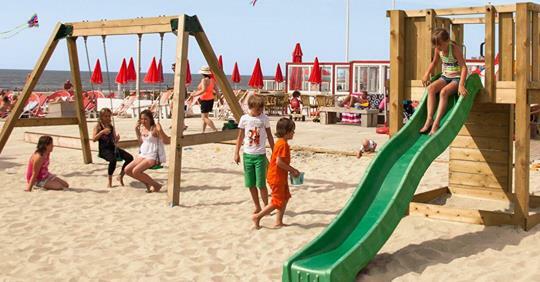 A great playground will attract more customers, especially when your target group is parents with children, you want them to stay as long as possible and spend more during their stay. 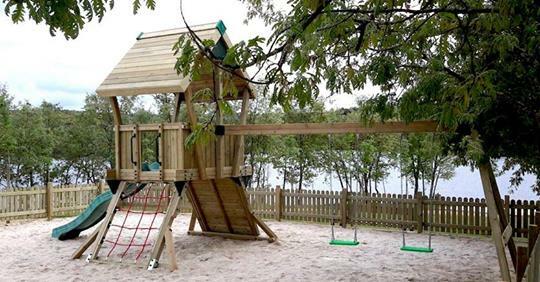 Providing an outdoor play area can help to keep your clients longer; while the children have the time of their life playing the parents have time to pleasantly enjoy another round of drinks or book more nights to stay in your establishment. Tips & tricks to take in consideration when investing in a playground for you business are explained in this blog. 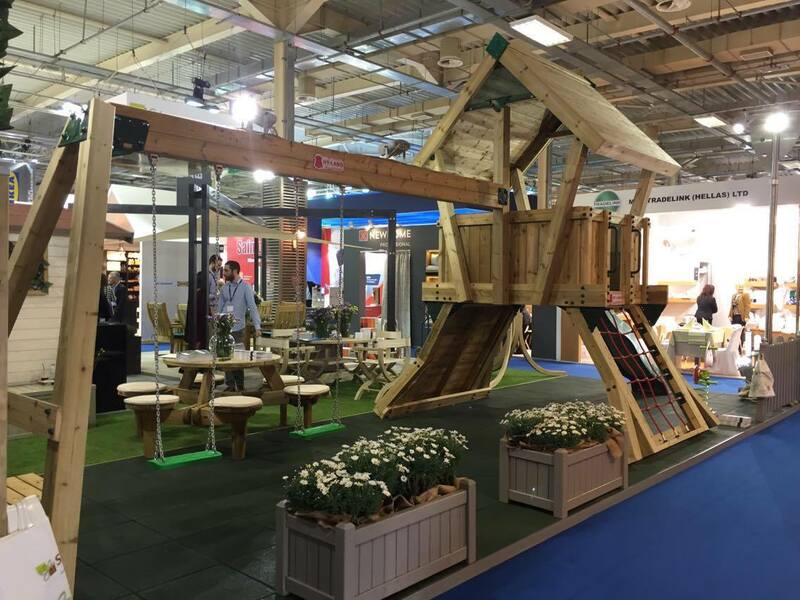 In the last few days the international Garden Trade Fair ‘Spoga Gafa’ took place in Cologne, Germany. 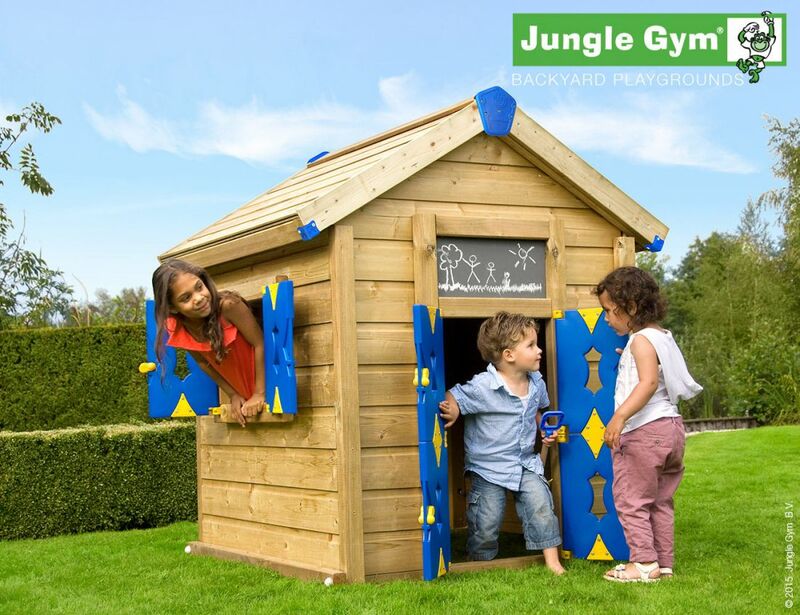 The Spoga Gafa is the most important and annual garden exhibition where both Hy-land and Jungle Gym are represented with their stands. Over 2,000 attendees from around 60 countries around the world present their garden related brands to almost 40,000 international trade visitors. If you have doubts purchasing a swing set or climbing frame for your business? Here’s how a simple investment can create more sales for restaurants, hotels, stores, showrooms, sport clubs, campsites etc. Parents love to see their kids playing around in a safe and sound outdoor play area. 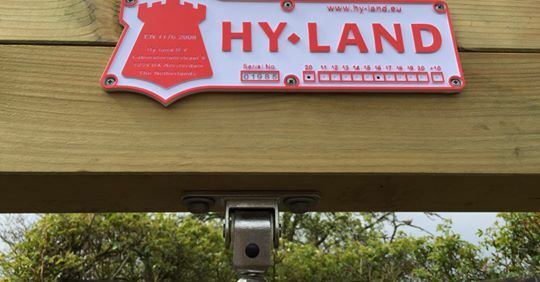 The Hy-land product range is developed especially for small and mid-size businesses targeting families, with a surprisingly affordable range with relatively low depreciation and maintenance costs. Project P vs. Project Q climbing frames: the differences explained! 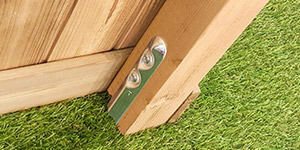 Hy-land professional playground equipment offers a broad range of outdoor play equipment. 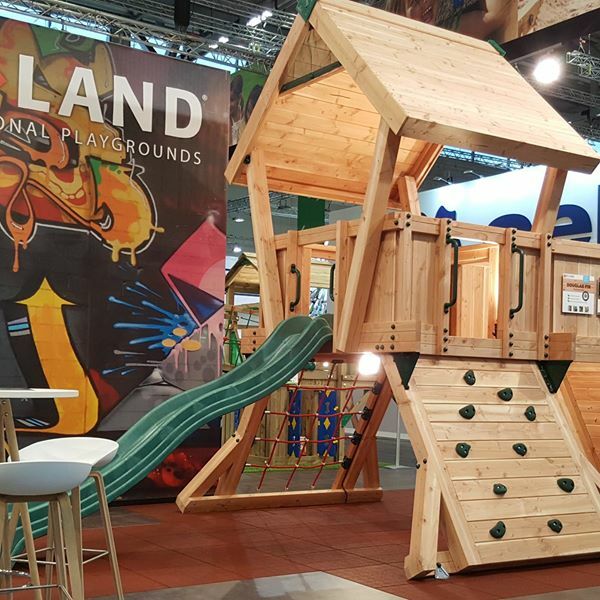 P-series and Q-series are Hy-lands two product lines, both with their own unique outdoor play equipment qualities. 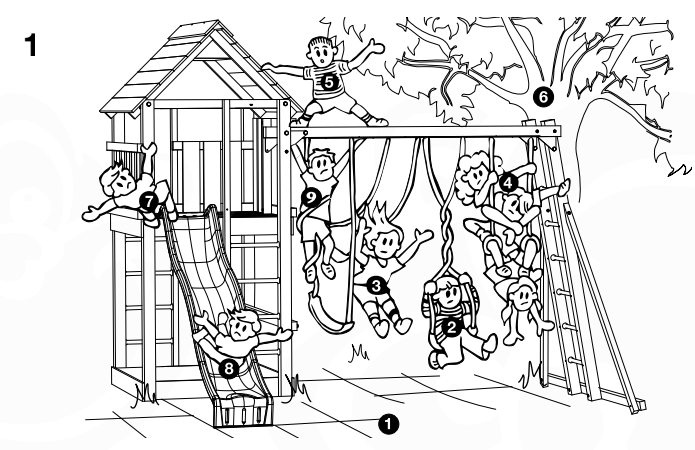 What are the common characteristics among these climbing frames and what are the differences? What are the specifics of the P-series and what are the specifics of the Q-series? In this blog we discuss these questions related to the two Hy-land outdoor play equipment series. Last week the annual Spoga Gafa fair took place. This international garden trade exhibition always takes place in de Koelnmesse in Cologne. Both Hy-land and 'Jungle Gym' were represented with their own stands. Last week Thursday, a group of eight started building the two stands. Within 2.5 days the whole was set-up, perfectly in time for the start of the fair on Sunday. In the stand models P5 en Q2 were erected accompanied with the impressive Swing Nest to show potential dealers how the professional climbing frames look and feel. All play equipment for public places must be certified according to the EN-1176 standard. 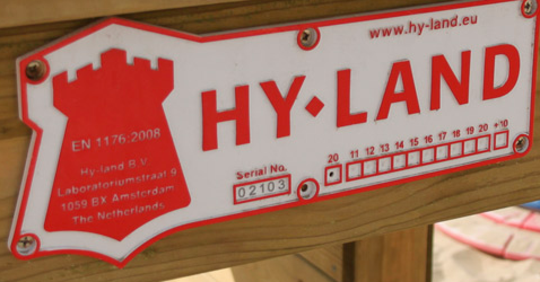 Hy-land is the professional manufacturer of playground equipment that meets this standard. Hy-land is very affordable and provides the performance needs required by children. In this blog we discuss why Hy-land performs best based on the purchase decision factors that are important when choosing for commercial playground equipment. Hy-land offers a wide range of different play elements. This contributes to the fact that Hy-land's wooden playground equipment is so much appreciated by both toddlers and older children. Young or old, they all run, hide, slide and climb hour after hour.